They are guilty of “lying against the LORD” and “departing away from our God” – the professing church seems to be going the way of society at large: “. . . speaking oppression . . . (‘Look, I’m the pastor here and THIS is what we are teaching now! If you don’t like it, LEAVE! But if you decide to stay you have to STOP being rebellious to my authority and SUBMIT!’) . . . and revolt . . . (Too many teachers and pastors are saying, ‘Yes, that’s what it actually says in the Scriptures, BUT what that REALLY means is . . . ‘)” and they revolt against the truth of God by bringing in “damnable heresies” (2 PET 2:1). This is the revolution of the unrighteous! And it’s happening in too, too many churches today! Those who take a stand against this terrible tide of apostasy “make [themselves] a prey” and labeled as “trouble makers, divisive, judgmental, unloving, legalistic” and end up being “divorced from church” - as Eric Barger says from TAKE A STAND! Ministries - excommunicated by the authorities there. 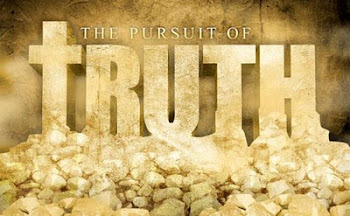 Yet without truth, how can there be any justice or proper judgment and discernment? The church has let discernment get “turned away backwards” and “truth has fallen”. We spoke on this issue before on The RED PILL Consortium. Without discernment and knowledge of truth versus error, how can there be any security in the hope that we are solidly founded on the ROCK Who is the LORD Jesus Christ? That we actually do know the truth, and the will of the LORD? That we are abiding in the sound doctrine of the Word? Professing Christians seem less and less concerned with such matters, but then wonder why, when storms rise up, they fall apart, bewildered that God would ever let such things happen to them! Well, we can all lose our way sometimes – sheep are in fact, prone to wander, hence the need of a shepherd. So for those of you who may be a little lost, I pray that this article blesses you. And for those who are growing weary in the battle for the Bible and the truth it declares, may this encourage you to stay the course and wage a good warfare! 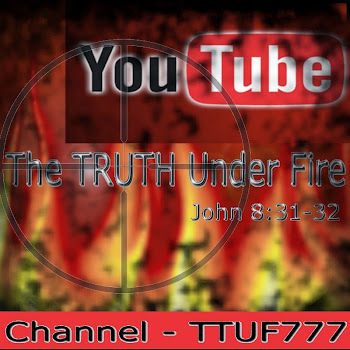 We must remember that the TRUTH is UNDER FIRE by the enemy of the LORD! We’re going to examine four passages in PSALMS 62 and PSALM 91 as well as MATTHEW 7 and ISAIAH 28 and some other verses. We’ll need to consider the foundation we’ve made for our lives, what it means to have a biblical foundation and what effect it has for us. Truly my soul waits upon God: from him cometh my salvation. 2 He only is my rock and my salvation; He is my defense; I shall not be greatly moved. 3 How long will ye imagine mischief against a man? ye shall be slain all of you: as a bowing wall shall ye be, and as a tottering fence. 4 They only consult to cast him down from his excellency: they delight in lies: they bless with their mouth, but they curse inwardly. Selah. 5 My soul, wait only upon God; for my expectation is from Him. 6 He only is my rock and my salvation: He is my defense; I shall not be moved. 7 In God is my salvation and my glory: the rock of my strength, and my refuge, is in God. 8 Trust in Him at all times; all you people, pour out your heart before Him: God is a refuge for us. Selah. 9 Surely men of low degree are vanity, and men of high degree are a lie: to be laid in the balance, they are altogether lighter than vanity. 10 Trust not in oppression, and become not vain in robbery: if riches increase, set not your heart upon them. 11 God has spoken once; twice have I heard this; that power belongs unto God. 12 Also unto thee, O Lord, belongs mercy: for You render to every man according to his work. The Psalmist here recognizes that his salvation comes from God and from God alone, and so that is where his focus is: “truly my soul waits upon God” (See also ISAIAH 40:31). He places his entire trust in the faithful LORD Whose faithfulness is as solid as a ROCK; he directs his faith solely upon his GOD Who is his defense – and then note what he says: “I shall not be greatly moved” – there is little give in this saint; sure, he might get budged a little bit by the fierce onslaught of the enemies’ attacks against his faith and trust in God, trust in His Word and belief in sound doctrine (see vs 4), but not by a great degree (“I shall not be greatly moved”). And in comparison, to the lost, whose own foundation is as ‘secure’ “as a tottering fence”, the foundation of the saint is sure and steadfast when he centers himself on the sure foundation of the LORD. These are not at all like those who, while flirting with temptations by lingering on the edge of the Rock, ask, “Can I still do ______ and still be saved?”. This sort who, like Lot’s wife, look back with longing for the world, desiring its pleasures and can never, while in such a state, be certain of their own salvation. They can never know the surety of a secure and strong foundation on the ROCK! He reaffirms his faith in the LORD in vs. 7, declaring that God is not only his salvation, but his glory – his delight, the one that he boasts of gladly. He is “the rock of [his] strength and [his] refuge”. For the saint who makes the LORD his refuge, that soul will know peace in the storm, rest in turmoil, joy is sorrow, courage in peril, and faith in the midst of uncertainties. That man, with tears in his eyes, confessed his weakness, and was not disdained by the LORD of glory, nor was he rejected for his unbelief – for he indeed, did believe, but it was mixed with doubt and uncertainty, and the LORD was intent on strengthening that man’s faith and so He healed his son! The LORD will honor our honesty about ourselves, and ‘getting real’ with Him. The LORD through the Psalmist admonishes us to not trust in riches or anything else (such as family, social causes, career, even ministry or church even, or morality, etc.) as a foundation we might suppose is strong enough and trustworthy for our lives. “Power belongs to God” and He designates powers, abilities, talents, skills as well as authorities and offices to people as He sees fit, but if they are not founded solidly on the Rock, not founded faithfully in the Kingdom of God and His holy will, then such gifts from God, placed in our stewardship for His service will be tainted, corrupted, perverted and we will use such things to exalt ourselves, much as Lucifer failed to give glory to God for his beauty and wisdom, and began to attribute these powers unto himself – and this eventually turned a cherub into a devil! He that dwells in the secret place of the most High shall abide under the shadow of the Almighty. 2 I will say of the Lord, He is my refuge and my fortress: my God; in Him will I trust. 3 Surely, He shall deliver you from the snare of the fowler, and from the noisome pestilence. 4 He shall cover you with his feathers, and under His wings shall you trust: His truth shall be your shield and buckler. 5 You shall not be afraid for the terror by night; nor for the arrow that flies by day; 6 Nor for the pestilence that walks in darkness; nor for the destruction that wastes at noonday. 7 A thousand shall fall at your side, and ten thousand at your right hand; but it shall not come near you. 8 Only with thine eyes shalt thou behold and see the reward of the wicked. 9 Because you have made the Lord, which is my refuge, even the most High, your habitation; 10 There shall no evil befall you, neither shall any plague come near your dwelling. 11 For He shall give his angels charge over thee, to keep thee in all your ways. 12 They shall bear you up in their hands, lest you dash your foot against a stone. 13 You shalt tread upon the lion and adder: the young lion and the dragon shalt you trample under feet. 14 Because he hath set his love upon Me, therefore will I deliver him: I will set him on high, because he hath known My Name. 15 He shall call upon Me, and I will answer him: He shall give his angels charge over thee, to keep thee in all your ways. What is that secret place? We get a clue from reading about Moses, who greatly desired to see the face of God, but couldn’t, because no one would be able to see God in that way and survive the intensity of such a gloriously holy experience. What did God do? 18 And he [Moses] said, I beseech thee, shew me thy glory.19 And he said, I will make all my goodness pass before thee, and I will proclaim the name of the Lord before thee; and will be gracious to whom I will be gracious, and will shew mercy on whom I will shew mercy. 20 And he said, Thou canst not see my face: for there shall no man see me, and live. 21 And the Lord said, Behold, there is a place by me, and thou shalt stand upon a rock: 22 And it shall come to pass, while my glory passeth by, that I will put thee in a clift of the rock, and will cover thee with my hand while I pass by: 23 And I will take away mine hand, and thou shalt see my back parts: but my face shall not be seen. We sing the old hymn, Rock of Ages Cleft For Me, and certainly the ROCK of our Salvation was smitten and provided salvation for repentant sinners, much like the children of Israel were saved from perishing in the desert when there was no water to drink, and God instructed Moses to smite the rock, and water issued forth, quenching Israel’s desperate thirst (See EXOD 17:6). This is the secret place, those who are “in Christ” (EPH 1:1,3,10; 2:6,10; 3:11), and abide under the shadow of the Almighty. To “dwell under the shadow” in ancient times of the Middle East had special meaning, particularly among the nomadic tribes that lived in tents. Whenever they had company, and they sat in communion together, fellowshipping and feasting in the tent’s shade, out of the heat of the sun, those companions were under the protection of their host, who saw to all their needs, well-being and safety. We who know the LORD know Him as many things, and of course, we know Him as our Deliverer; the thing about deliverance is, we really don’t need it if we are not in trouble. Of course we know Him as Deliverer in the sense He has redeemed us, and saved us from Judgment Day and hell fire . . . Yet in this life, we will not know or recognize the LORD as our Deliverer if we never encounter difficulties, troubles and peril. Some believers become dismayed when faced with difficulties – whether they come in the way of terminal illness, imminent divorce, bankruptcy, the loss of a family member or a job and so many other things – “. . . the slings and arrows of outrageous fortune” as Hamlet once said. And even the LORD Jesus stated “…But there shall not an hair of your head perish…” (LUKE 21:18) in regards to those who are persecuted for His Name’s sake. For such saints who endured these “light afflictions” (2 COR 4:17), let us consider their ultimate end: though they may suffer such satanically-inspired torture, be subjected to nightmarish misery, endure agonizing adversities, we have the assurance that once such vile experiences are over, they will be over! We will endure these times, brief as they are in light of eternity, where we shall receive “an eternal WEIGHT of glory” and know ultimate deliverance from evil, where our once destroyed bodies, “sown in dishonor” (tainted as they are with the curse of sin, and destined to die in any event) will be raised “in power” (1 COR 15:43) where in glorified form, the LORD’s prophetic words hold true (LUKE 21:18). 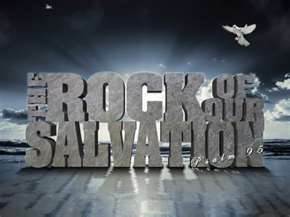 And those firmly fixed on the foundation of the ROCK, even in the midst of emotional turmoil, will have the depth of such spiritual peace and calmness of soul in these dire circumstances; the whole of unholy storms and tempests set against us by the enemy will not and cannot cause our house to fall! Note this vitally important aspect of the verse above: It is those who hear (“to perceive, to understand”) and do (obey) the words of the LORD that are built on the ROCK and impervious to the destructive intentions of the enemy. Those who are granted understanding by the Holy Spirit are obligated to obey in the power of God’s enabling grace; but if they don’t – their house is built on the sand and easy prey to the enemy’s storming attacks! The LORD will set us on high – bringing us into the very hallowed halls of heaven, and revealing to us and in us the absolute truth of our victory over all the power of the enemy; we shall revel in his defeat as we tread upon “the lion (1 PET 5:8) and …the dragon (REV 12:9) …”. We know the Name of the LORD and His Name is Jesus, Y’shua – literally, “God is Our Salvation” and He will either deliver us while in this world from the various dangers and threats that assail us and we shall worship our Deliverer for His grace, OR He will deliver us from this world, in an ultimate sense, in allowing such things to ferry us from this infernal world and into the glorious freedom as found in God’s Kingdom of Light! Free from the curse and darkness of this sinful world, free from the sin-nature that we wrestle against daily, free from the turmoil of soul over the suffering of others as well as ourselves! Free to bring before our LORD such worship and praises that will usher angels and saints to our side in mutual adoration of Adonai! Saints, we who are founded on the ROCK are always in a ‘win-win’ situation: We will ever know the LORD as our Deliverer, in this life as well as the one to come! AMEN? Let us be stubborn and persistent in our unshakeable hope, faith and trust in our GOD! Though situation and circumstances may cause us to feel overwhelmed, dejected, discouraged and overtly defeated, and all odds are against us (HAB 3:16-19) – may we remain planted resolutely on the ROCK and be of good cheer – for the LORD has overcome all of this world (JOHN 16:33), has cast down the power of the prince of this world (JOHN 12:31), Satan; and stripped him and all of his hellish host of their pernicious power (COL 2:15)!! Dare I say that the Emergent Church patrons could proclaim as much! We who understand the New Testament in light of the Old, know that Jesus Himself is this Cornerstone (EPH 2:20; 1 PET 2:6-7) and He is the measure and parameters by which we understand the Scriptures which are His portrait (PSALM 40:7; JOHN 5:39). This Corner Stone is a tested stone (HEB 4:15) and precious (1 PET 1:19) and One that always did the will of the Father, according to the Word of Truth (JOHN 8:29; 17:17). The words ‘precept’ and ‘line’ are what we would understand as construction terms; they speak of stakes and cords, used as mason’s guides when laying stone. The stakes and cords would be carefully aligned with the precisely perfect 90 degree angle of the Corner Stone, extending beyond its width and length to form the walls to be built. From the opposite corners, more stakes and cords would be measured at 90 degree angles, thus forming a perfect square. Think of all the prophets and writers of the Scriptures as these ‘stakes’ and ‘cords’, forming a temple of truth and light, carefully measured according to the Corner Stone, of Whom “… the volume of the Book …” is written of (PSALM 40:7)”. Apostate Israel refused to stay safely within the walls of God’s Refuge of Truth as revealed in His Word, and because of that, judgment was pronounced, and they experienced dire tribulations and troubles (See ISAIAH 28:13b, 17a). Let us therefore, we saints who are FOUNDED On The ROCK, be watchful over our hearts, that we don’t drift away (HEB 2:1) from the Word of truth, both in thought, word and deed, as too, too many are in these days of apostasy (1 TIM 4:1-2). We live in such times that are only going to get darker, with the sound of hooves in our ears, the approaching four horsemen of REVELATION and the coming reign of anti-Christ. Tumultuous times are likely to increase and affect even the American church – and we best prepare for its arrival. May the peace of the LORD be upon us, His children, who are founded on the ROCK, the LORD Jesus Christ.